Troutman’s Barbecue is known for its barbecue, red slaw, and hot sauce. 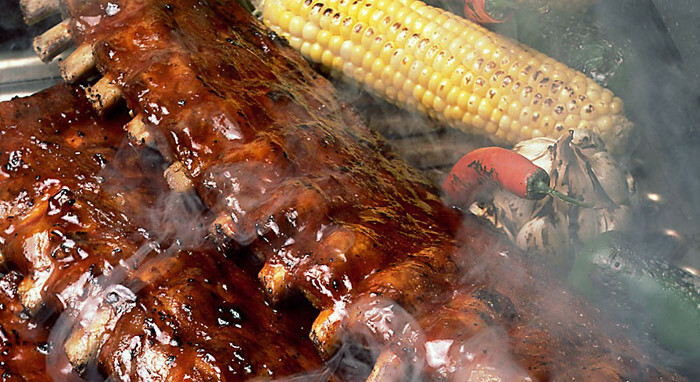 After fifty plus years in business, we know a thing or two about cooking barbecue. We do things the old fashioned way. We only use hickory wood to smoke our pork shoulders. Our Pit Master slow cooks each shoulder for twelve hours. The coals of hickory wood are carefully shoveled under the shoulders by hand. The smoke produced by the coals slowly seeps into the meat for a true, pit-cooked taste in every bite. You don’t get this kind of flavor from an electric cooker like our competitors use.